Hey everybody! I wanted to share a couple really fun FREE apps for your children to use that will help them to enjoy math! 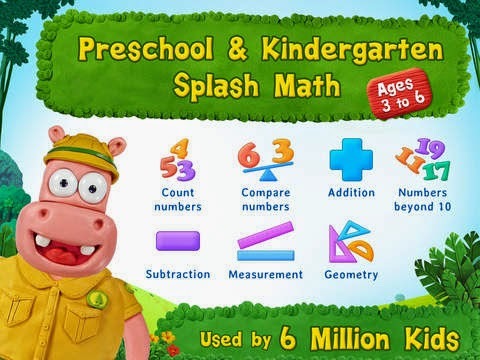 It's called Splash Math, and there are apps available for Preschool and Kindergarten levels, as well as 1-5 grade. Here are my thoughts on the Kindergarten and Preschool app: This app is the perfect way to start your child on their journey with math. Instead of letting your youngster “hate” math like so many others, this will teach them to have fun with numbers! Basics such as counting, greater/lesser numbers, addition and subtraction and more are taught. It’s fun because children earn rewards (animals for their jungle) and then get to interact with the animals. 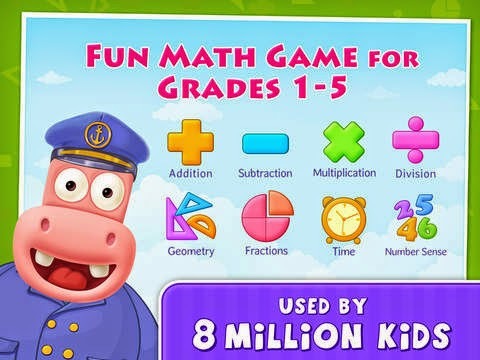 The 1-5 grade is also great; math is often the most hated subject in school, so it's nice to find an app that will encourage children to not only learn, but enjoy, math. 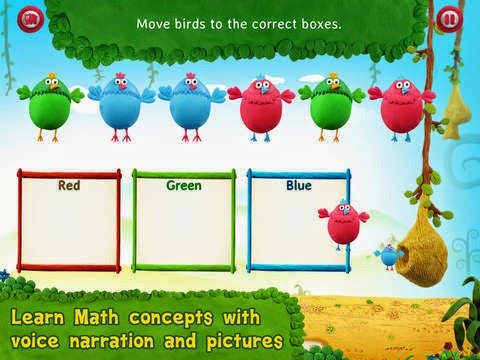 This app is fun and appealing for kids, and brings them from 1st grade all the way to 5th grade math. I like that it sends weekly updates through email on your child's progress. Write a short review of any Splash Math app on the iTunes App Store. If you have already reviewed Splash Math app, simply update your review. Send an email to giveaway@splashmath.com with your iTunes nickname and the app you reviewed. And while these were quick to top their latest developments with breitling replica watches even more efficient ones, these were also unaware at the time that collectively they had most of chanel outlet the challenge pieces which will ultimately make up the modern diver's watch. Let's discover the changeover and see what exactly led to the dive watch, even as know it today. Often, diving watches mean the top of modern watchmaking. We saw watches being worn on the Silent celestial body, exceed the speed of sound, but chanel outlet defeating the immense pressure that prevails only at the greatest points fake omega sale in our planet is a different challenge altogether. This is best proven by the process of how watches sneaked from our vest pockets fake rado sale and onto our wrists, to ultimately become instruments capable of performing in tens or hundreds of thousands special military actions and scientific dives alike, withstanding extremely demanding conditions.